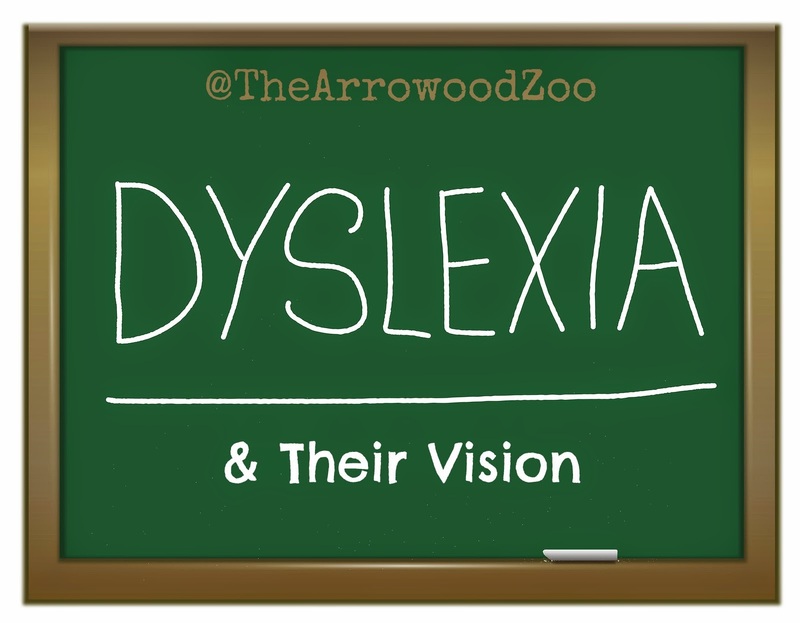 Did you know that Dyslexia is not normally the sole purpose of the overall issue? For my son we found that he also has vision issues and combining the two issues makes for one large reading issue! We are currently working our way through some exercises that can be done at home to gain strength and control while waiting on our appointment with a professional that we where referred too. However in all my studying I thought you could use some helpful information about the topic. Dyslexia is not caused by vision problems but good vision of course is important to reading development. 1 in 5 school aged children have a vision disorder. Did you know that your child can have 20/20 vision but still have undetected vision problems? Vision therapy may be needed and should any of these issues be found in your child consult your pediatrician for a referral to someone who could help you further. We are doing sense stimulation with blocking glasses to help his left brain deficiency. I will be posting about how we made them next week. Wide Eye Stretches: Look as far to the right as possible and hold that position for 4 seconds. Next look left and hold then look up and hold it and lastly look down and hold. This was very uncomfortable for Zachary last week when we started. He actually wasn't able to hold it but about 2 seconds without getting dizzy. So we are working up to 4 seconds. Zachary has very slow eye movement so we are doing an exercise that will help build his eye movement together by holding a pencil about 14 inches away from his nose and having him follow the pencil(marker/crayon) while keeping his head straight (remember I said he tilts his head). We move the pencil in all directions and do this for about 20 seconds at a time. We need to build up to one minute. He has issues with near and far focusing so we are doing an exercise having him look at a clock and back at an item. He is having issues with having a clear image(blurry). This is an issue I knew he had because he can not copy and write anything well. Visual processing tasks by having him look at number flash cards of one digit and flashing 3 or 4 at a time and having him remember the sequence. Read about Dyslexia Myths & Tips here.